In the 90’s, Allen Iverson was the number one draft pick out of Georgetown in the 1996 NBA Draft by the Philadelphia 76ers. Fans will always have their own perspective on Allen Iverson. 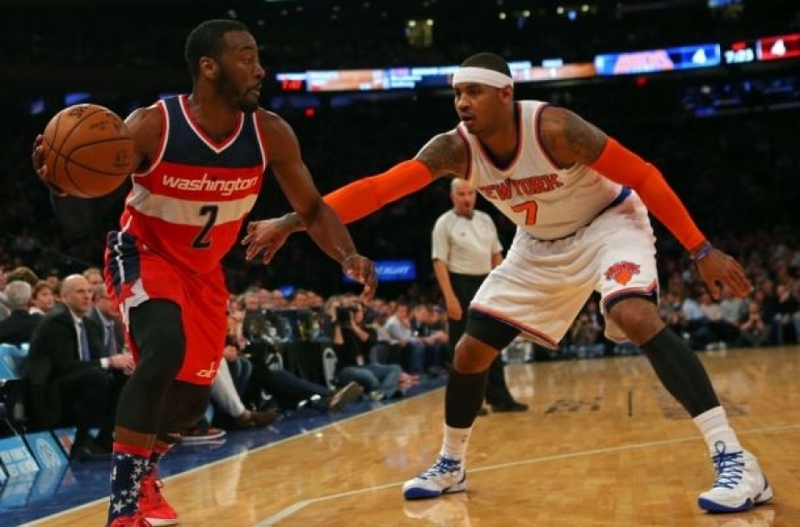 However, the fact is that he revolutionized the game for all the smaller guards after him. He was immortalized last year as he was inducted into the 2016 NBA Hall Of Fame. 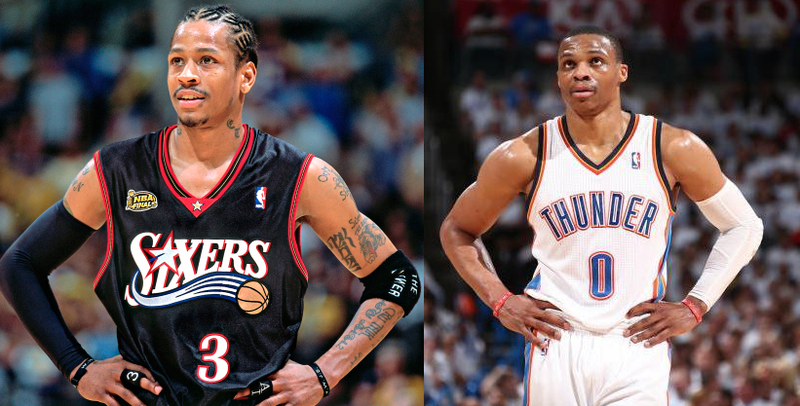 Fast forward to currently in the NBA, Russell Westbrook is a spitting image of Iverson. 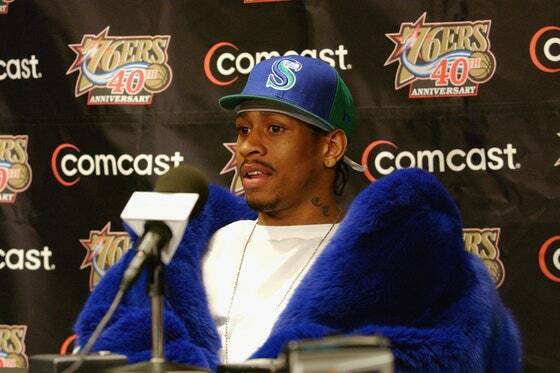 Iverson always wore what he wanted when he wanted to. He was one of the firs basketball players to have cornrows. 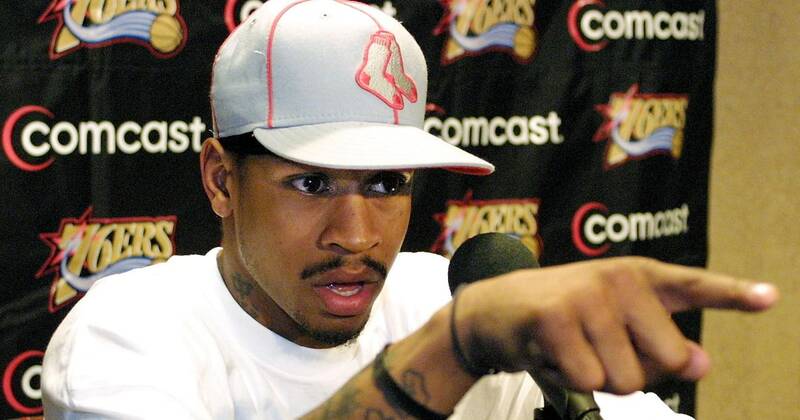 Iverson often wore jerseys, jeans, hats, do-rags, t-shirts, jewelry. Due to the fact that he did not feel like dressing up. Therefore in 2005, the NBA decided to implement the dress code. As a result, the players had to wear business attire clothing before and after the games. 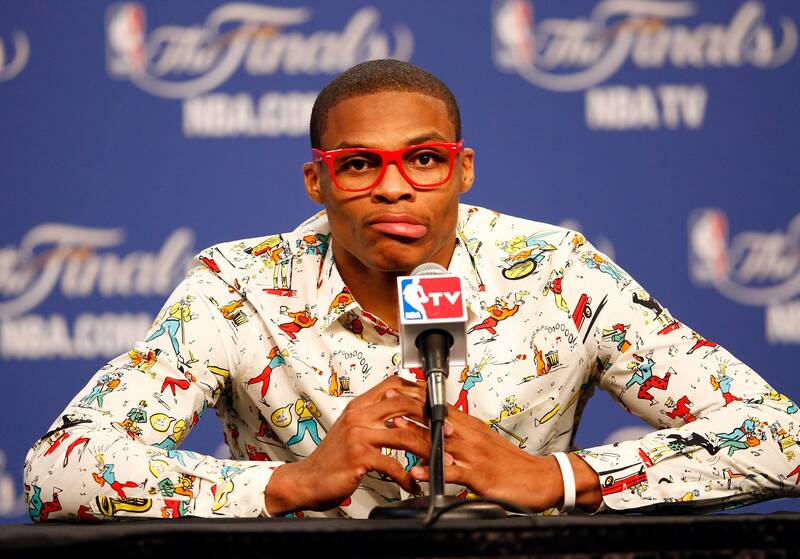 Westbrook always gets criticized on a night basis because of the clothes that he decides to wear. However, regardless of your thoughts on Westbrook fashion style, you have to give him credit because he can wear almost anything and make it look good. Iverson was loved by millions of fans around the world because he always kept it real and never changed for anybody. Westbrook was the exact same person when he dealt with the season-long drama featuring Kevin Durant. His attitude never changed and he stated numerous times he hasn’t spoken to Durant since his move to Golden State Warriors. Iverson was at warrior for his size he could do everything from his deadly cross, midrange, and his range from deep. Not to mention his intense defense locking up the other point guards and stealing the ball. It absolutely scary because Westbrook is the exact same player. However, Westbrook is more of a complete player with the ability to grab rebounds and dish assists. At first, I was not a fan of Westbrook because he basketball IQ always left me stretching my head. Then it was about three years ago where I started to love and appreciate his overall game. Westbrook smashing the triple double record that was set by Oscar Roberston.To record 42 triple doubles is mind blowing because that record was untouchable. 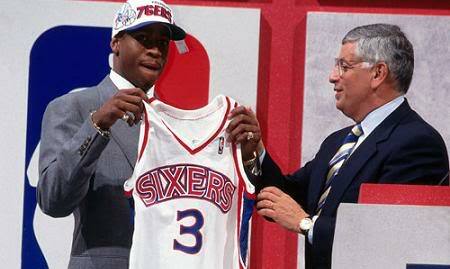 Iverson changed the paradigm of how future general managers would look at smaller guards. One of Iverson’s best qualities is that he often got overlooked because of his size but he made up for it with his heart. 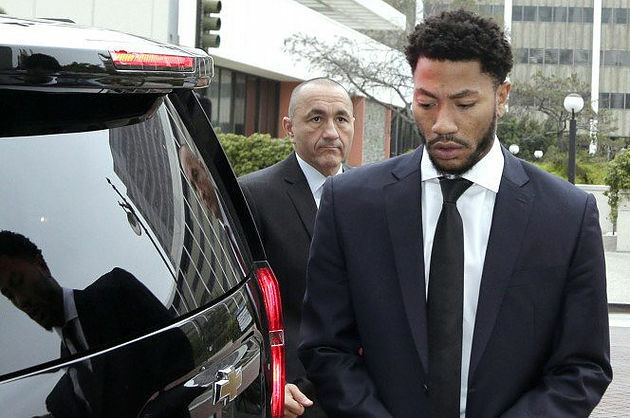 He defined all the odds playing in the NBA for years to come while taking a beating on a nightly basis. Regardless of the numerous injuries, he would obtain during the years he never quit or took a play off. Westbrook will do whatever it takes to get the win for his team. 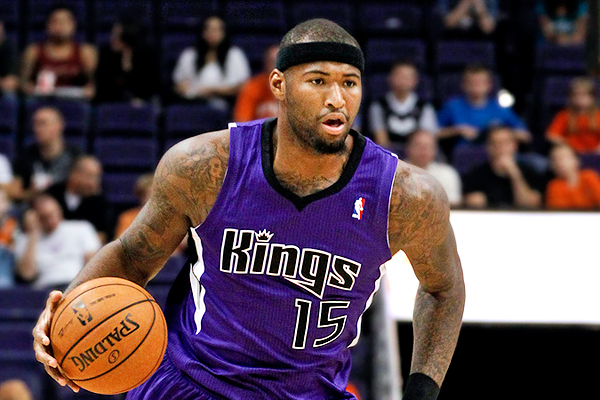 In addition, that regardless of his size when he is on the court he becomes the biggest player because he effects the game on so many levels. It’s intriguing to look at different generations of players. Both Iverson and Westbrook are once in a lifetime players. Just sit back and enjoy the ride as Westbrook will no doubt be a first ballot NBA Hall of Famer if he stays healthy.